Elm Tree Farm provides opportunities for children and young people with learning disabilities and autism to try new things and experience outdoors learning. 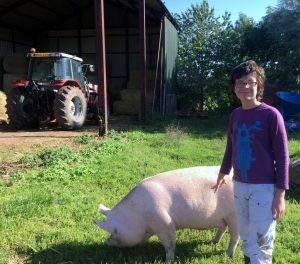 We run a holiday club for young people with learning disabilities, aged 11-18 years old, where they can contribute to all aspects of farm life, develop a variety of skills, and have fun. The support ratio is one staff to three young people, where young people with additional needs can bring their own support. The club runs Monday to Wednesday, 8.30am-3pm, at a cost of £25 per young person, per day. We welcome visits of small group from special educational need schools. These groups can be guided or less formally planned, and tailored to meet needs and budget of the group. We can work with your curriculum on a wide range of outdoor learning topics for facilitated visits too.